Real Alternative Site - Clearer insights into how earthquakes develop. 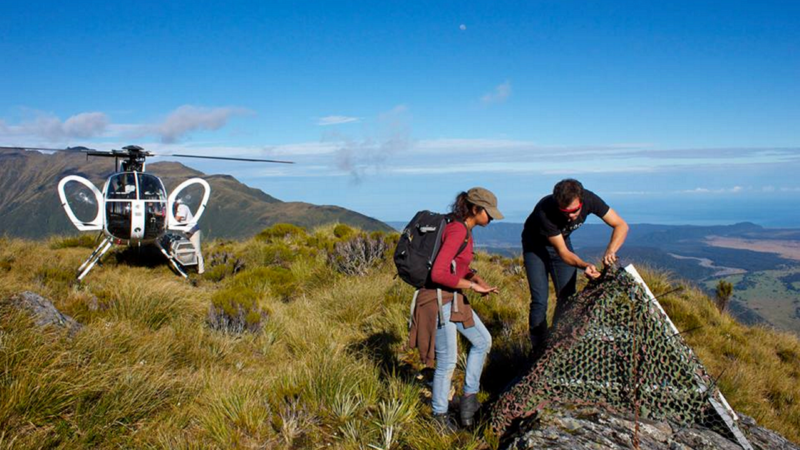 Dr Calum Chamberlain and PhD student Laura-May Baratin at monitoring equipment on Mt Baird in the Southern Alps. Photo: Dr Emily Warren-Smith. Trawling through more than 10 years of seismic data to find out how much stress New Zealand's many earthquake-producing faults can withstand without rupturing will hopefully give a Victoria University of Wellington seismologist clearer insights into how earthquakes develop. Postdoctoral research fellow Dr Calum Chamberlain from Victoria’s School of Geography, Environment and Earth Sciences is trying to find out whether the speed at which a fault is loaded by tectonic stresses has any bearing on when and how earthquakes start. Dr Chamberlain will look at data from what are known as repeating earthquakes, which are the recurring ruptures of a sticky patch on the surface of a fault that is otherwise stably creeping. Dr Chamberlain says New Zealand has excellent earthquake data, which will allow him to calculate slip-rates and stressing-rates for faults that have not recently failed in large earthquakes. Dr Chamberlain and his colleagues—Professor John Townend of Victoria and Dr Amanda Thomas of the University of Oregon—will incorporate the data in numerical models, which Dr Chamberlain says will allow the team to better understand the relationship between small earthquakes and large, locked patches of faults. “Before the magnitude 9 earthquake in Japan in 2011—as well as some other recent large earthquakes in other parts of the world—changes were observed in repeating earthquakes which are thought to represent changes in slip-rate and stress loading-rate in the vicinity of the main earthquake,” he says. “That means we know these changes can be associated with large earthquakes, but we’ve seen similar changes in New Zealand and they haven’t been linked to large earthquakes. So I’ll be trying to work out what the difference is between stress changes that result in earthquakes and those that don’t.